Taken last week in Bellingwolde, a lovely village in Groningen, our neighbour province. 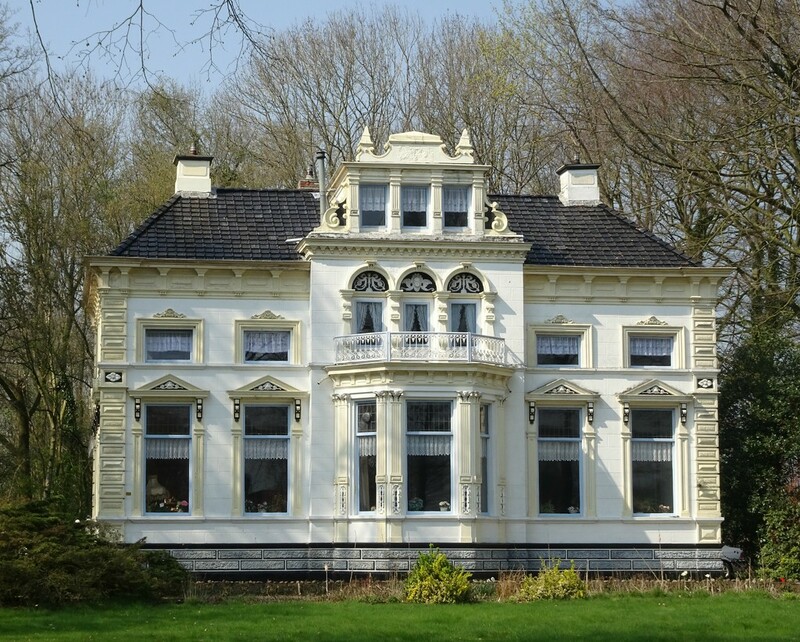 This beautiful villa dates from 1895. I like the symmetry in this building. Such a beautiful & stately villa. What a fab looking house.....I would love to live there. Lovely.... wonder what the white material consists of and is it easily maintained. Beautiful anyway. At first I honestly thought it was a dollhouse. So precious looking. Just beautiful. I agree with Dixie about the dollhouse effect. I think it’s because the sidewalk is not visible from this photo. A beautiful mansion ! - everything is so symmetrical making it look like a model rather than an actual house ! Dit is wel een erg mooie. Great shot. I love the symmetry too. very pristine looking too.